Creative activities will keep my children busily engaged for hours at a time. 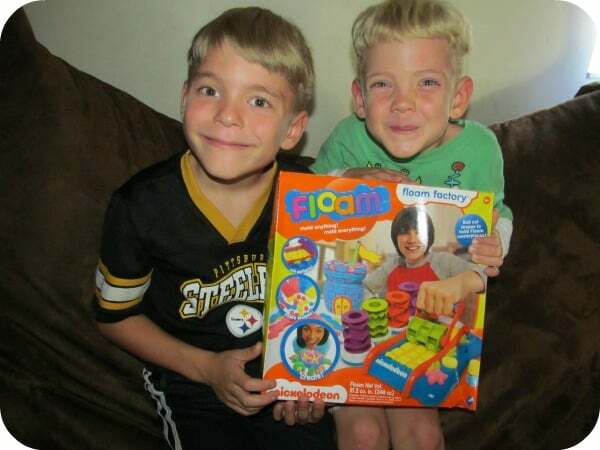 The Nickelodeon Floam Factory™ is their newest favorite way to create their own “Floam Masterpieces”. What is Floam? It is a moldable, reusable micro-bead substance that is surprisingly versatile. 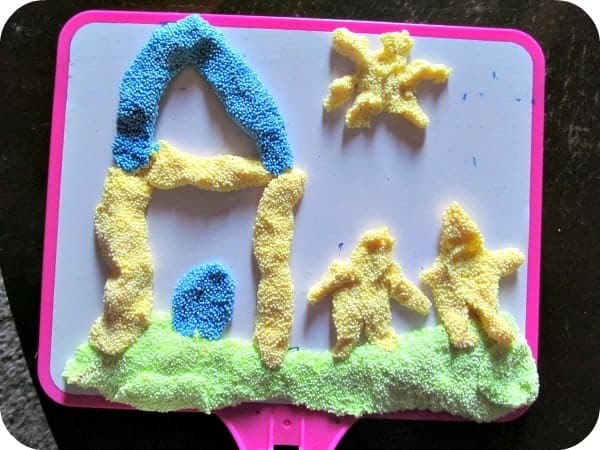 At first I was a bit worried that it would be messy but after my kids and I molded it into a workable ball and then played with it for quite a long time on a play mat it was very easy to clean up…..a big bonus from the mom perspective! 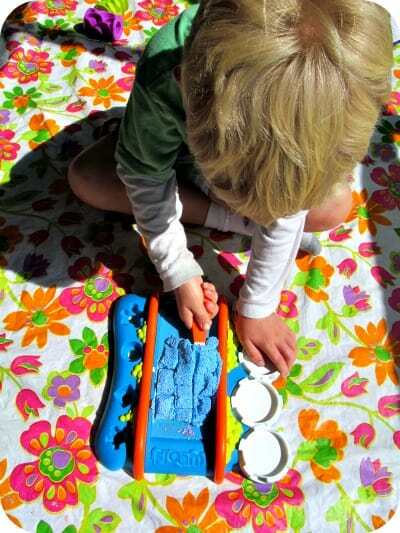 Floam can be used in the Floam Factory™ which is an easy, fun way to make “brick” shapes, squiggly strips, straight shapes, “petals”, “diamonds” and more. The shape rollers were easy for even my five year old to change out and then it was simply a roll and then the shaped Floam can be taken out and added to the design of their choice. It includes the Floam Factory, Floam in various colors and a spatula. We store our Floam in a zip lock back so that it can be reused again and again and my children frequently request to play with this set. If they creative an extra special “masterpiece” then it can be left out overnight when it will permanently harden. The Nickelodeon Floam Factory™ is available for purchase with a SRP of $24.99 and can be found online and at retailers. You are invited to visit the Floam website to learn more about this product or to get additional purchasing information. thanks for the info on Floam! I remember getting just the small tubes of it for my two older boys & they liked it. I may have to check this out for my twin 5 y.o.s who love NICK. I like to find activity sets that are reusable. I have a hard time spending over $20 for something they will play with once. This looks like it would be really fun and would make a great Christmas present. I like that you have the option to keep the creation if you decide to! 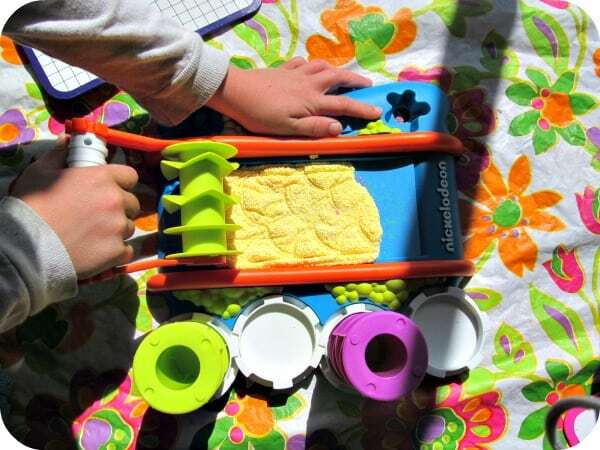 This Floam Factory toy looks like so much fun! My nephew would love this toy! This would be a really fun gift to give to him this Christmas. This toy would provide hours and hours of fun! This looks so fun! Wish my daughter was older so I could justify buying this… because I WANT TO PLAY WITH IT! Thanks for this post. I think my nephews would like this toy and it would keep them busy. I was already considering this as a Christmas present, enjoyed your review, thanks! Omg my son would absolutely love this!! Great Xmas gift idea, thanks! My boys are still a little young for this but I will pass this idea on to friends. Sounds and looks like you had a lot of fun. My kids and now my grand kids love being artistic and creative. They love play doh, and I know they would like this, too. I really like the factory with all the helpful pieces. The fact that you can choose to leave it out to harden is an added bonus. I was wondering how messy it was. This would make a great christmas gift for my little grandkids. I think they would really enjoy it. Floam looks interesting. do n’t know if the kids would enjoy it.